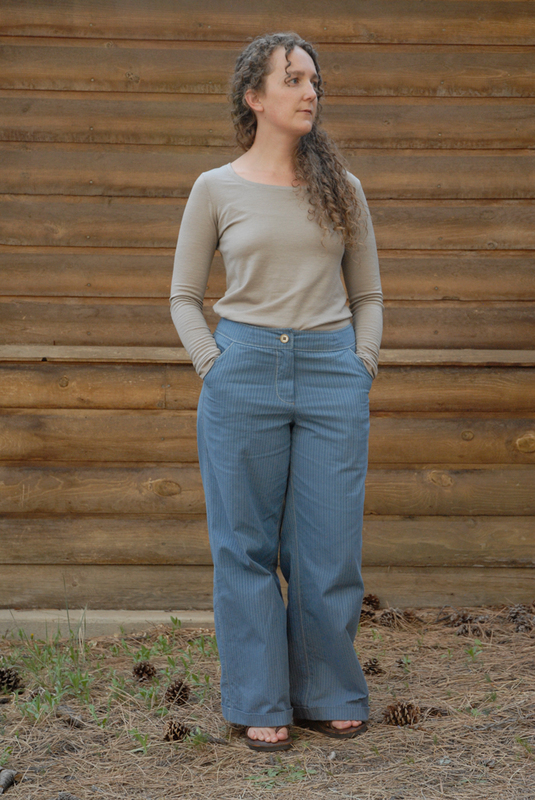 This entry was posted in Sewing—Form and Fabric, Things I've Sewn, Uncategorized and tagged diy, Fabric, knit, knits, merino, New Zealand, organic, sewing, shirts, The Fabric Store, tops. Bookmark the permalink. Oooo! That fabric sounds lovely! 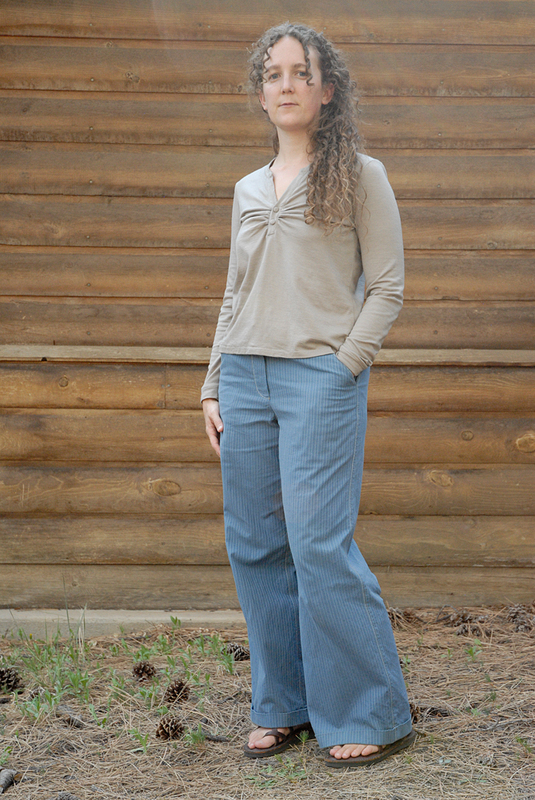 The tops turned out lovely and I really love those pants! Looking forward to reading about them. Yes I agree, in the absence of USA-made wool fabric, a branch of a NZ fabric store in LA is fantastic news! I would love to visit that store in person some time, although it would probably be hard on my fabric budget to do so! I also think that the Europeans, and maybe Australians too, are ahead of us sewing and fabric-wise partly because they’re not as quick to get rid of things and ideas (like making your own clothes) which go temporarily out of fashion as Americans are. Looks beautiful, I really like the neckline! And the fabric sounds wonderful. Too bad I didn’t know about Merino wool when I visited Australia, and Germany doesn’T have it’s own Fabric Store yet! Ha! Yes, although I think a lot of the power behind the name “merino” is mostly marketing. There are a lot of wonderful sheep out there, and I’m sure some of their wool goes into making jersey as good as this. Some of my favorite fabric ever!